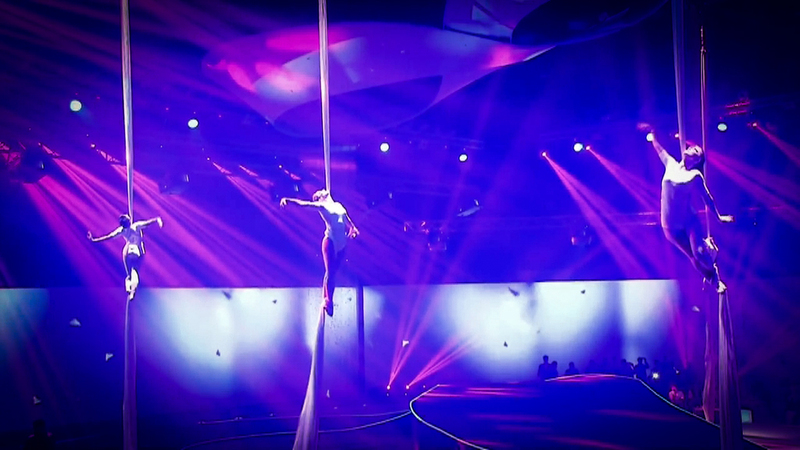 This mesmerizing high level act combines strength and grace to a gorgeous aerial dance routine. It incorporates breath-taking drops and elegant moves on the vertical silks and seems like a weightless dance in the air. 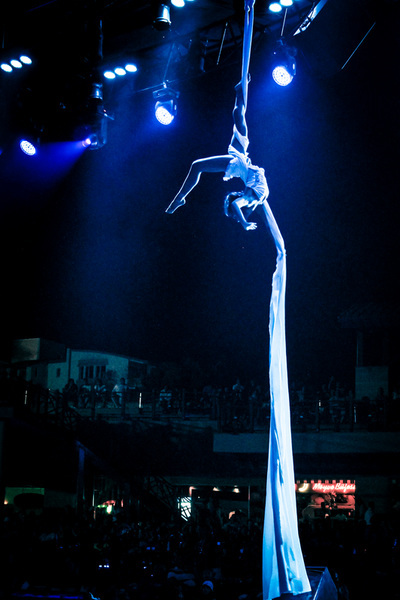 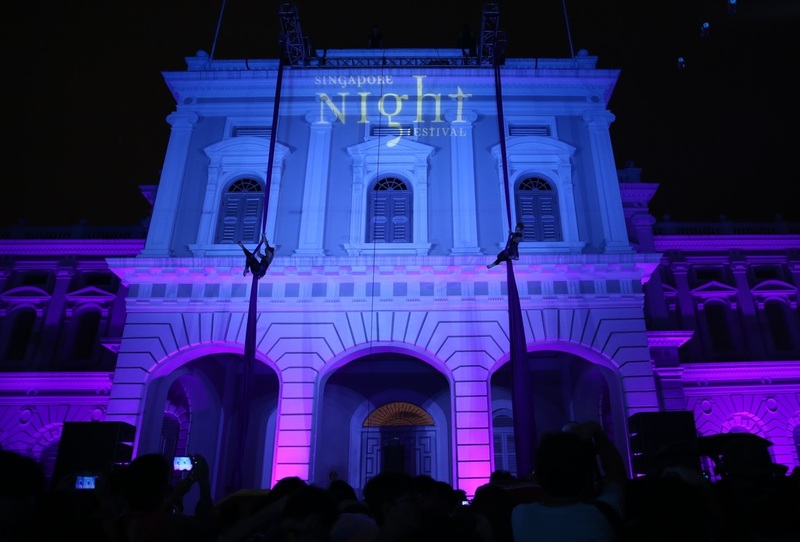 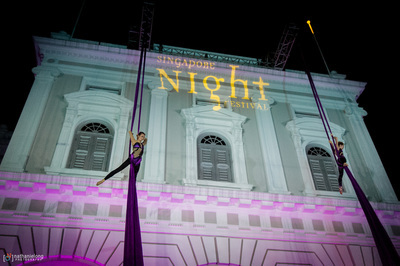 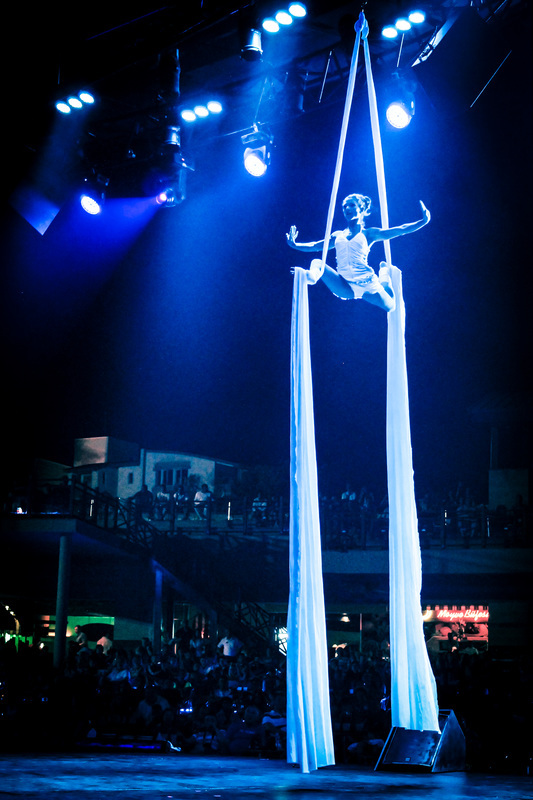 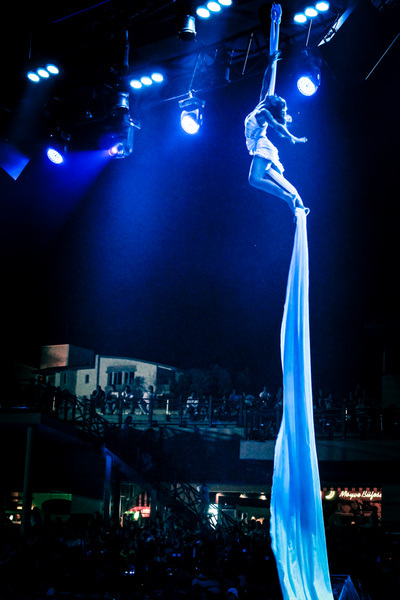 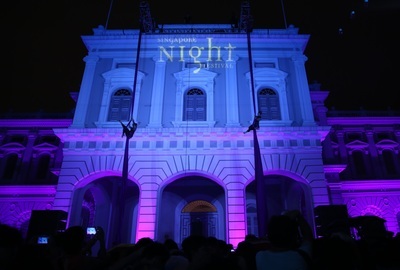 This aerial show brings the attention high above the heads will move and captivate any audience. 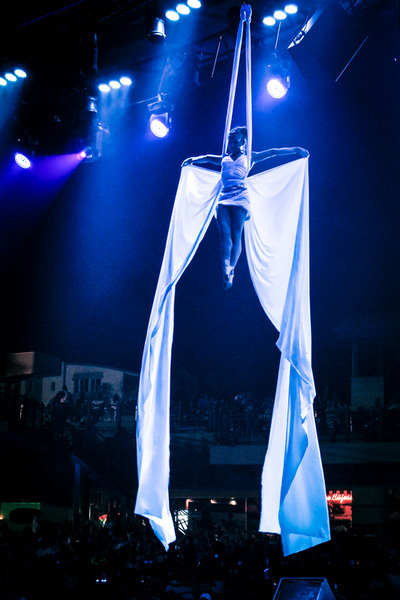 It has it’s varieties in colour and styles and is a classy addition to high profile events or any function. 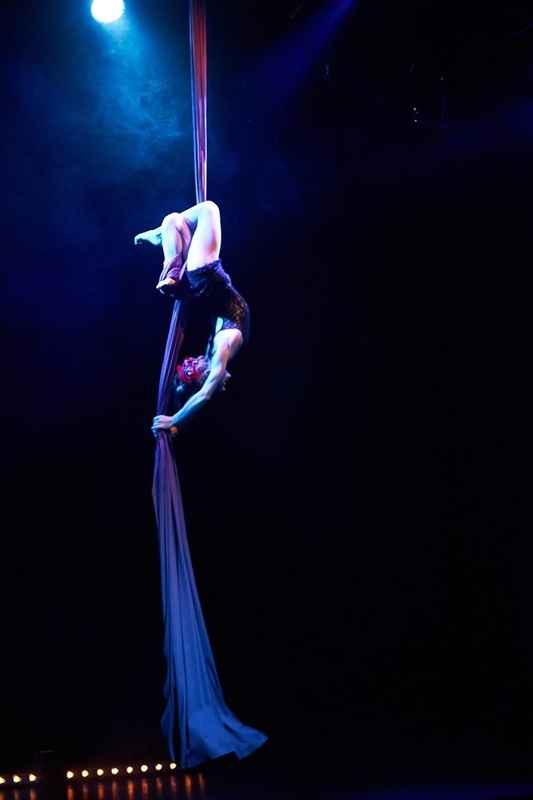 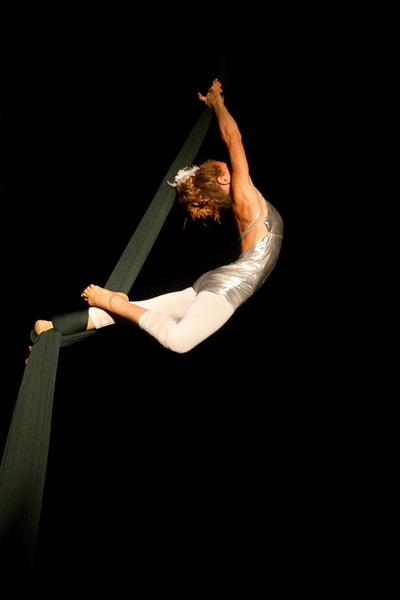 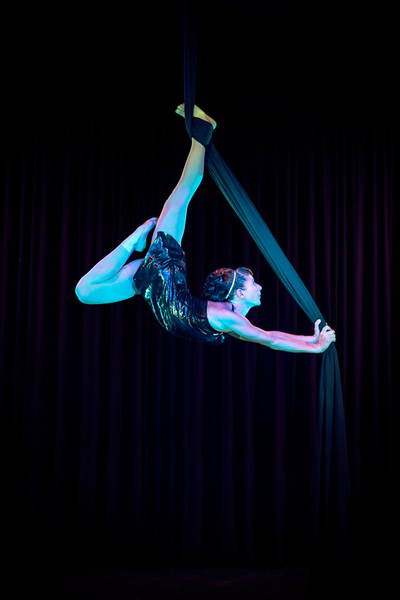 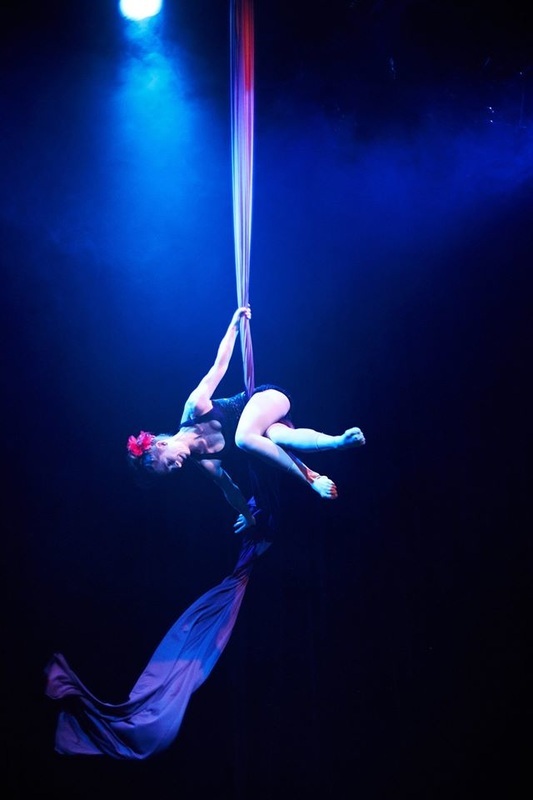 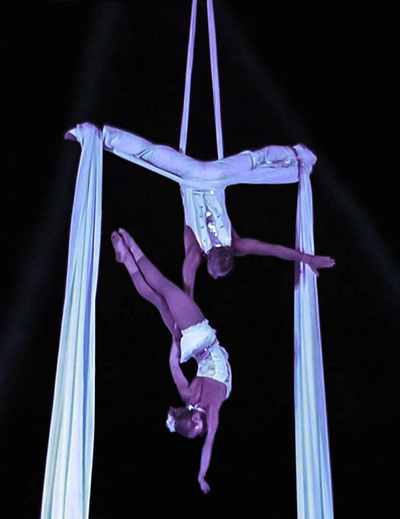 The Silks duo is a stunning and skillfull partner act performed on a single point. Suspended high off the ground on one fabric and relying on each other’s hands will keep the audience speechless. 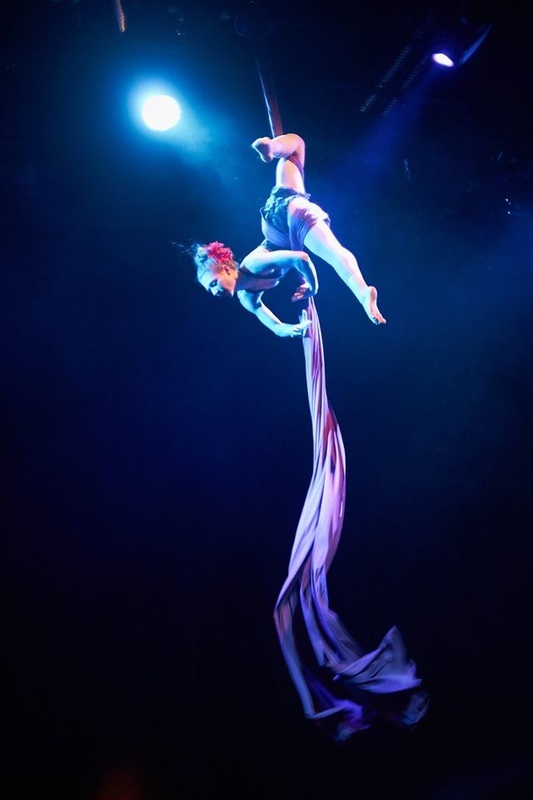 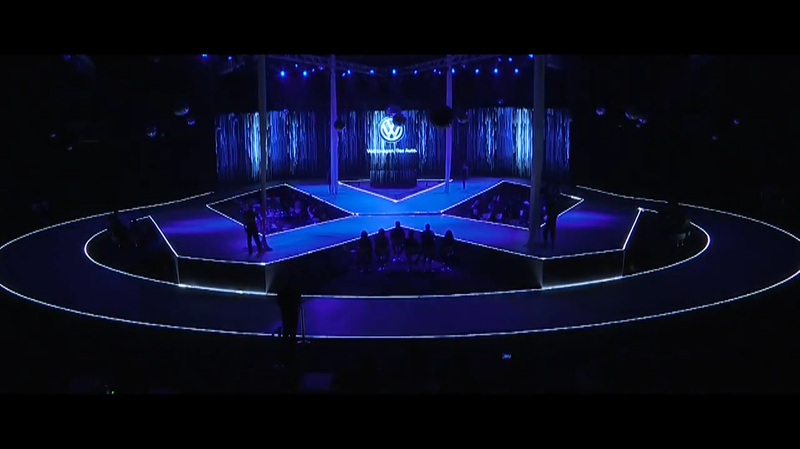 It’s a captivating performance that includes ambitious moves and a sophisticated presentation. 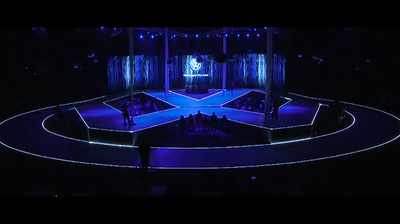 With all our partner acts we also offer a synchronized silk act on the sides of the center act which will lift up the performance to make it an even bigger highlight. 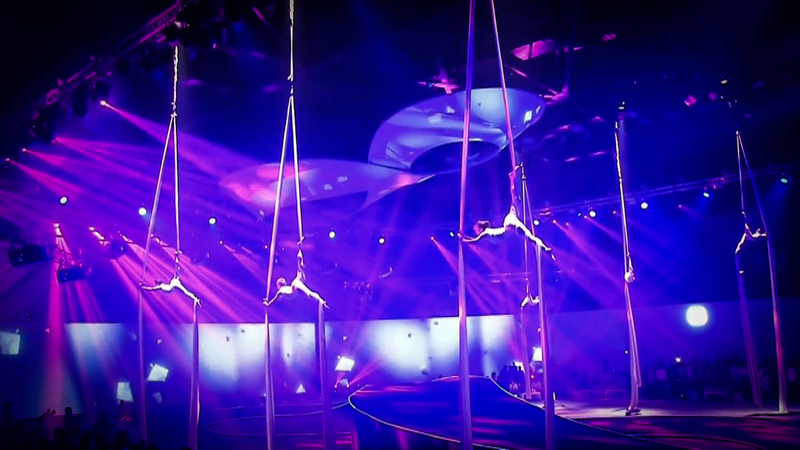 An incredible group of silk performers suspended from the ceiling is a harmonic display of aerial ballet on silks with 2 -6 performers. This is an outstanding show and fills even big stages with an incredible presentation of synchronicity and magnificence. 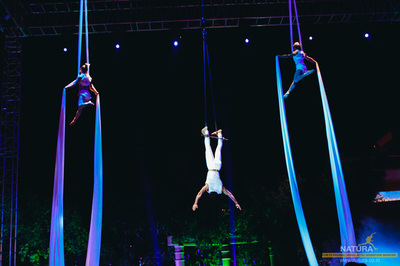 Experience and see choreography of excellence when the aerialists dance in the air and a symphony of "flying silks" are taking over. 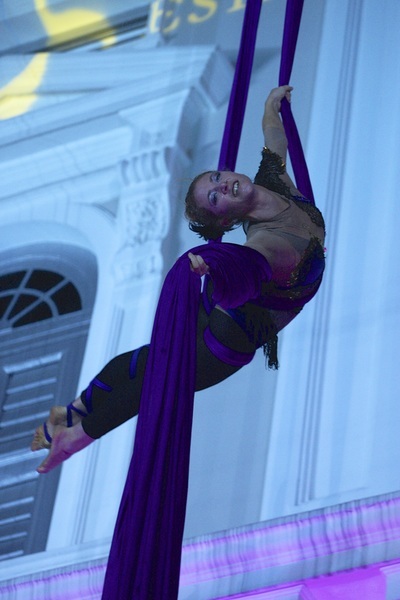 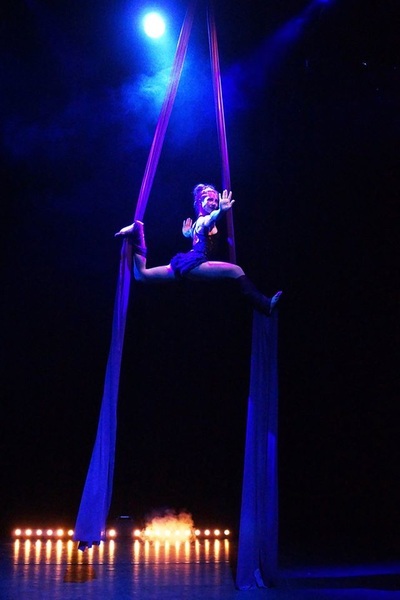 Flying Silks / Bird in the sky - This act was created by Irene Schuberth with especially composed music. 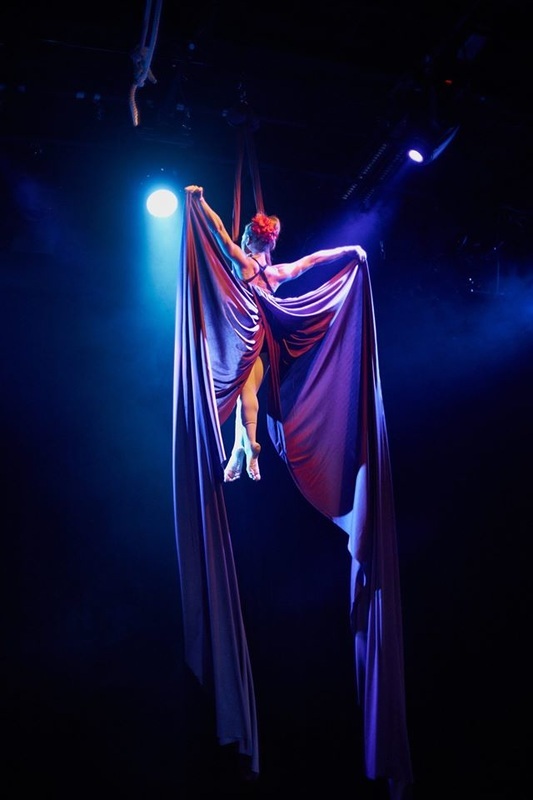 2013 it was touring in multiple Amhitheaters and Stages throughout three month in Turkey and presented since then this modern aerial pieec "gifted with a sence of beauty".